I posted in the other section but probably should have posted here. Rex Rogers, San Angelo, TX. New to me 1976 Chevy G10 Shorty. 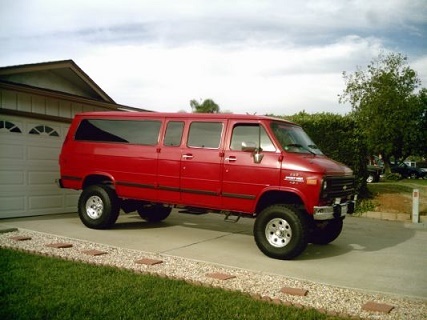 Been lurking here for a while while looking for a van. Finally picked one up this past weekend. Made an adventurous 600 mile round trip to make a deal and bring it back home. Barely got the thing on the U-hauler! It's home though and needs work. Looking forward to getting it safe and where it'll pass TX inspection so I can start driving it while I work refurbish it. Not going to go crazy. Keeping the paint and body mostly as is. Salvaging the sides (w/benches) and ceiling of interior. Getting the mechanics and AC in order. Already found tons of great info on this forum while searching. It's a great resource! Welcome & NICE RIDE ! good to have ya here. Good luck with your project. Welcome! Glad you've found us. Hello! Rex, Welcome to the site. Excellent find on that Sweet little Chevy! '76 is a good year for the 350 small block. Sounds great! Just up the road from you, in Levelland. Van On! looks like a good little van to start with.